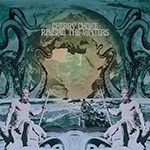 This is the third album by Cherry Choke from the UK. Those who are familiar with the band and former groups of the leader Mathew Bethancourt (The Kings of Frog Island, Josiah, The Beginning) know exactly what they will get: great, psychedelic fuzz/stoner/garage rock with excellent song-writing and musicianship and a strong vintage rock vibe, not forgetting the occasional dark, occult themes. The three-piece recorded the album at Colour Haze's analogue studio in München, Germany, for a warm and fuzzy sound that fits the music perfectly. The disc starts off with the very cool, mid-tempo track "Rage On". The backwards guitar in the very beginning brings to mind On Trial and Baby Woodrose and Lucifer is mentioned in the first line... A nice combination of acoustic guitar and heavy psych guitar licks. Mat's strong and soulful vocals again bring to mind the mighty Cream a bit... "Mindbreaker" is a fast and energetic fuzz rock hit that really works great. "Black Annis" offers some heavy blues stuff and also has some organ, while "Used to Call You Friend" is a bit more original, melodic and interesting. "Hypnotize Me" is just an acoustic reprise of the first track, but "Where the Sun Rises" is a dark and mysterious, instrumental psych trip also including sitar. "6ix and 7even" starts off with some moody, Deep Purple styled organ, and gradually start to rock out. This is the longest track on the album at 7:27 and also one of my favourites including some very groovy playing. "My Mind to Lose" is about loosing your mind and pretty heavy and dark stuff. The end-part somehow reminds me of Lynyrd Skynyrd? The last actual song is the melancholic acoustic track "Discarded Hearts", but after a little pause we get some weird experimental stuff (tape echo?) to get lost in... Another excellent album by Cherry Choke, check it out you stoners and lovers of the heavy fuzz guitar with great vocals!